The walls of the garden can already be found on a map dating back to 1832, but they are probably older. The original garden was a so-called kitchen garden, where vegetables, fruit and flowers were grown. 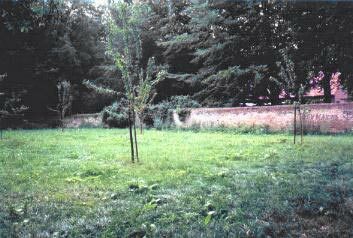 After the Second World War, the garden fell into decay. 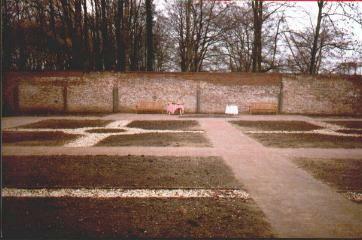 In the early nineties plans were made to restore the garden. 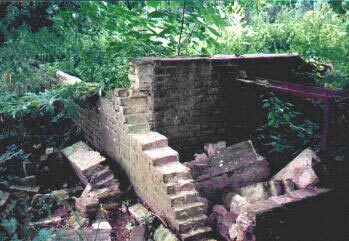 1993: The walls restored to their former state. In 1994 the paths were laid out. Planting started in 1994 and was completed in 1995. The garden was officially opened on 9th September 1995.